The Oakland acupuncturist wants to start a "slow health" movement. The Slow Food movement is based on slackening the cadence of cooking, eating, and corporate agriculture. Brian Barlay wants to propose a variation on that theme: slow health. As an acupuncturist, Barlay sees firsthand the harm we inflict on our bodies and souls by working and playing at warp speed. "The Eastern concept of yin and yang and finding the essential balance between them is an elegant framework in which to view this," said Barlay. "Stress, overwork, and overstimulation have their effects on our sleep, mood, nervous systems, and so on. It's clear that we need some better strategies." He will outline a few such strategies during a slow-health lecture at the Temescal Acupuncture Center (330 41st St., Oakland) on Friday, May 14. Balance — achieved through diet, therapeutic exercises, herbs, and acupuncture — are "the central theme of Chinese medicine's several-thousand-year history," he said. "Through observation by both patient and doctor, signs of deviation from the body's normal state of balance are detected and corrected early on, before they result in serious health problems." Part of his role as a health care provider, Barlay asserted, is to gently suggest lifestyle changes aimed at slowing down the pace of his patients' lives. He was a UC Berkeley undergrad majoring in creative writing when, at age nineteen, "I abruptly diverged into studying Taoism, Buddhism, mysticism in general, and eventually medical anthropology. 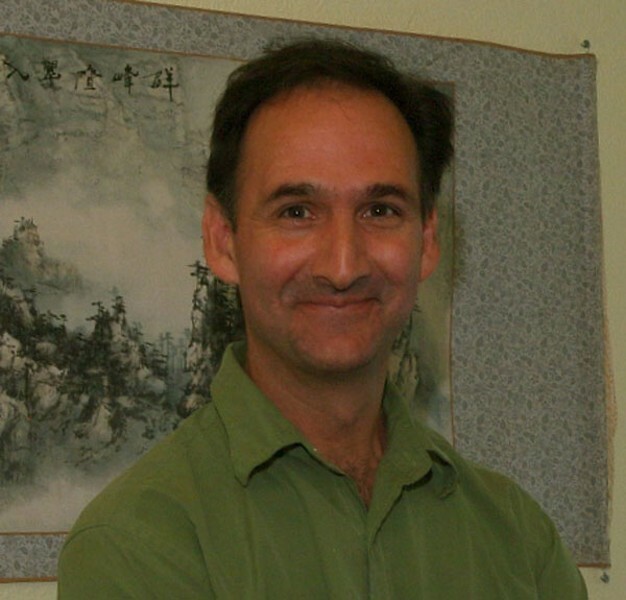 Within a year I was immersed in tai chi and other meditative arts and my course was set." Since then, he has met his share of skeptics — and he doesn't begrudge them. "The basic question, 'How could putting some needles in you have any therapeutic value?' seems quite reasonable. If you can accept that we have electricity running through our bodies and that the needle interacting with it stimulates our nervous system, triggering a brain response involving neurotransmitters, hormones, endorphins, enkephalins, and more, then you are moving towards a scientific explanation," Barlay said. As health care becomes ever more clearly this millennium's biggest political football, "I think acupuncture will continue its current path of being gradually integrated into Western medical settings," he said. "My hope is that the current knowledge that preventative care is way cheaper than waiting until a health problem has reached the level of necessitating serious and involved intervention will dictate how care is delivered. Acupuncture is not best applied as a heroic measure, and a lot of problems, when addressed earlier on, respond well to it."